SOULFUL RIDES, LDA COMMITS TO PROTECT YOUR PRIVACY. 1. Who is responsible for the processing of personal information we collect about you? 2. What kind of personal information do we collect about you? 3. What other information do we collect - cookies and other Internet technologies? 4. With what purposes can we treat your Personal Information? 5. With whom do we share the data we collect? 6. Links / links to other websites? 7. How do we store and protect your Personal Information (data security)? 8. How to access, update, correct and delete your Personal Information? 10. What are our Contacts? SOULFUL RIDES, LDA is responsible for the processing of personal data ("Personal Information") that we collect about you on the website www.soulfulbikes.com and in all rental, purchase and sale agreements and services provided with us. This Personal Information is intended for SOULFUL RIDES, LDA and its subcontractors and partners and is collected, processed and stored in accordance with the Portuguese data protection law. Only the data strictly necessary for these purposes justified by the pursuit of the commercial object of Beyond Motors Rent-a-Car, Ld.ª and always with a view to the improvement of its goods and services, are requested. The name, identification number, tax identification number, driving license number, address and telephone contact must be filled out as the personal data strictly necessary for the conclusion of any contract. In any case, it shall be responsible for the accuracy of the data provided and SOULFUL RIDES, LDA reserves the right to exclude from the registered services any user who has provided false information without prejudice to other consequences that may arise by virtue of law applicable. If you provide us with data from third parties, you warrant that you have obtained the express consent of this third party for their communication to SOULFUL RIDES, LDA for the purposes of treatment described above. In the event of any change in your personal information to SOULFUL RIDES, LDA requests that such change be communicated so that we can keep your information current. In this regard, it undertakes to provide true personal information and to keep such information, provided to SOULFUL RIDES, LDA, updated. SOULFUL RIDES, LDA automatically collects information whenever someone visits the Website (www.soulfulbikes.com) obtains information from the user's computer and gives it a "cookie" (small package of information about that user) when someone visits your Website . This data is not provided by the user - it is an automatic collection as a means of facilitating the links to the websites and their use. We collect information from your computer for the purpose of evaluating the effectiveness of our website content and its use. This data allows us to improve the use of websites, or to optimize the navigation of the users in the Websites and to develop programs and contents according to the interests of the users of the Websites. In addition to cookies, some of our web pages and HTML messages integrate "pixel tags" that allow us to follow the steps of the users on our websites and the recipients of our communications. These markers are used to collect data, not identifiable as personal, that help us determine popular destinations, among others. SOULFUL RIDES, LDA obtains technical information from the user's computer whenever the user requests a page when visiting the Website. This information is obtained through the user's browser and may include different data such as: IP address, operating system used, Internet search software (eg Internet Explorer, Google Chrome, Mozilla Firefox, Safari), monitor resolution and reference websites. - Preparation of opinion polls and statistics, in particular to analyze the quality levels of the services provided. We may share your Personal Information with partners (third parties) as long as we have your prior and express consent. Any data sharing will always be performed according to law. 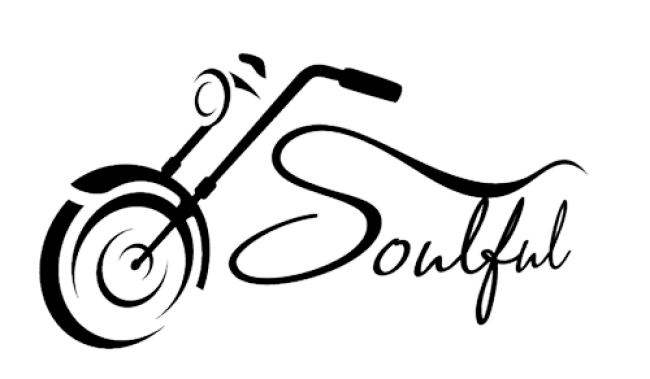 Due to its dynamic content, the various areas of the website are subject to the possibility of containing several links that may link you to other websites outside the domain www.soulfulbikes.com that do not act under the protection of privacy practices of SOULFUL RIDES, LDA. SOULFUL RIDES, LDA is not responsible for the content of the third-party websites included in the links or for the use of such websites. SOULFUL RIDES, LDA undertakes to take the necessary security measures to ensure the safeguarding of the recipients' personal data against any abuse or unauthorized access. We will retain your personal information only for the time required for its intended purpose and under applicable law. SOULFUL RIDES, LDA and its subcontractors will apply appropriate physical, technical and organizational security measures to prevent unauthorized or unlawful processing, accidental loss or destruction to unauthorized alteration, diffusion or access or damage to your Personal Information. The user acknowledges and accepts that, since the Internet is a network open, personal data may circulate in the network without security conditions, at the risk of being seen and used by unauthorized third parties, and SOULFUL RIDES, LDA can not be held liable for this access or use. In certain situations, in particular with regard to the execution of payments by credit card, the network that SOULFUL RIDES, LDA uses constitutes a safe online environment. Our systems are configured with data encryption, scrambling technologies, or industry-standard firewalls. When you submit your personal information to websites through the internet, your data is protected by SSL protocol (commonly known as HTTPS) to ensure secure transmission. We make reasonable efforts to ensure that your Personal Information is the most accurate / correct, current and complete for the purposes for which we use such data. Under the data protection law, you are entitled, at all times, to access and oppose, for legitimate reasons, the processing of your Personal Information, such as you have the right to update, correct and delete your information collected and incomplete, incorrect, outdated, or that is prohibited by law, and must do so by contacting SOULFUL RIDES, LDA for the contacts defined below. In order to guarantee and protect your privacy and security we will take reasonable steps to confirm your identity before granting access or making corrections. As a registered user you may occasionally receive information about our services, updates to our website, personalized advertisements and promotions that address your specific interests such as business, promotions, contests, sweepstakes and other offers available on the website ( www.soulfulbikes.com) and / or sponsored by our advertisers.